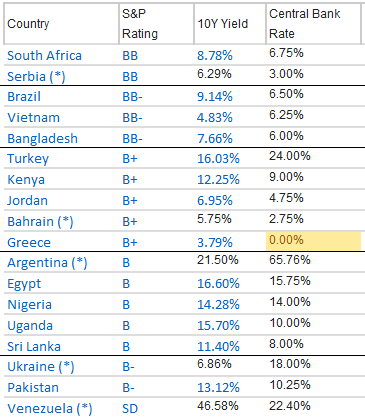 These rates and ratings are as of Friday March 22, 2019 and were sourced at www.WorldGovernmentBonds.com. 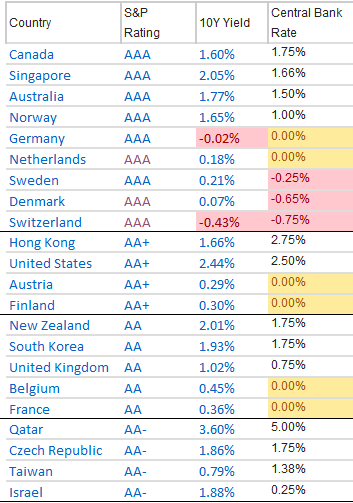 The tables present country, S&P credit rating, 10-year bond yield and central bank rate. 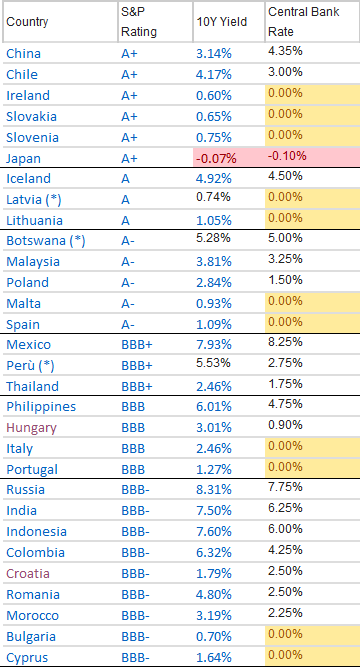 The tables are ordinated first by credit rating, then by central bank rate. This entry was posted on Sunday, March 24th, 2019 at 4:15 PM and is filed under Uncategorized. You can follow any responses to this entry through the RSS 2.0 feed. Both comments and pings are currently closed.